The International Monetary Fund postponed the arrival of the assessment mission to Kyiv for an indefinite period. The cooling of relations was provoked by the failure of the budget process, the uncertainty of the tax reform and the absence of a compromise on the anti-corruption legislation. UNIAN has asked the experts what will help Ukraine regain trust of the country’s key creditor. Ukraine has entered the zone of turbulence in its relations with the IMF. In early November, our country has not implemented any of the planned significant structural "lighthouse" reforms. Kyiv risks getting a “D” in the autumn review of Ukraine’s Extended Fund Facility cooperation program with the IMF. The first negative signal has already been sent. The Fund postponed its assessment mission’s visit to Ukraine for an indefinite period. The Ukrainian authorities initially expected to host the mission on November 2, right after the local elections. "The technical mission [at the expert level] has already arrived. 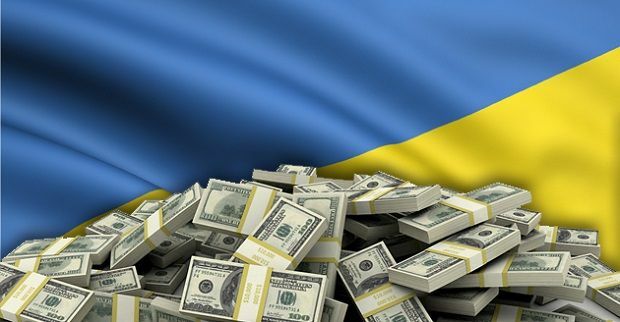 Once we define the policy of the Tax Code and Budget, present it to the IMF, they study it, we will resume the negotiations," said First Deputy Finance Minister Ihor Umanskiy. The Ukrainian authorities, inspired by a debt restructuring deal, were only required to address the basic domestic issues: to draft a balanced budget for 2016 with a deficit under 3.75% of GDP, draft a new Tax Code providing for the optimization of tax administration, and take fundamental anti-corruption steps. These tasks are difficult, indeed, but their implementation would cement Ukraine’s timid economic growth seen since the second half of 2015 and let the government draft plans for the medium-term socio-economic development. IMF’s Managing Director Christine Lagarde personally “blessed" the Ukrainian officials to go and reach their goals. In early September, she paid an official visit to Kyiv and literally showered our establishment with compliments regarding the implementation of reforms. 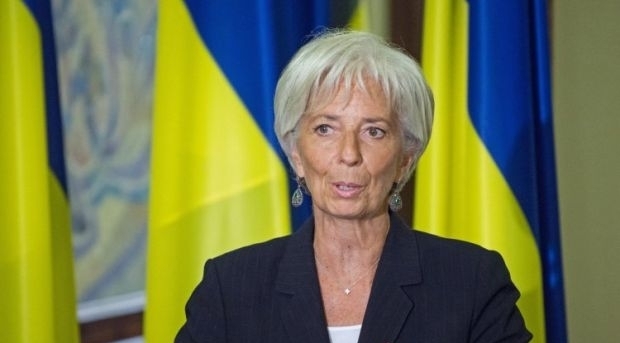 Lagarde’s admiration instilled confidence in the Ukrainians that the third tranche from the IMF is already in our pocket – we just need to hold local elections and not fail in our economic transformation. But it was not the case. Political strife caused by the election campaign and the parliamentary pluralism in terms of proposals on tax reform have led the country into a dead end. Now there are calls to do everything possible not to lose the delicate financial balance that has been achieved solely due to the financial support of the IMF and other international organizations and governments. At the same time, the “speakers” make no concessions to each other, although sometimes they even represent the same political forces. So there are grounds for debate, but there is no single coherent economic policy that could be presented to creditors. 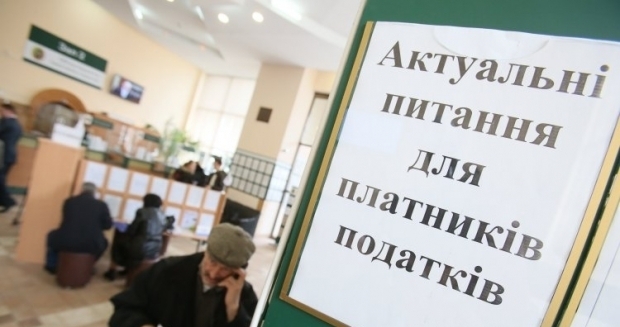 Several projects of the tax reform are being discussed today on the sidelines of the government and the parliament. This results in different versions of the budget. Amendments to the tax legislation are proposed by the Finance Ministry led by Natalie Jaresko and by a group of nearly 140 MPs led by Nin Yuzhanina, chief of the Rada’s Committee on Taxation and Customs Policy. "It is clear that the budget for the next year will be one of the highlights of the talks with the IMF. The Fund will assess the feasibility of the revenues, which in turn depends on amendments to the tax laws. It would be logical if the government were responsible for the tax reform. The presence of two competing projects of tax reform complicates the situation significantly," said Olena Bilan, chief economist at Dragon Capital investment company. The key difference between the governmental and parliamentary perspectives is the degree of tax freedom of businesses. The government proposes to follow the conservative path, reducing tax rates gradually - from year to year, staying within a range of UAH 60 billion budget deficit per year. Parliamentarians profess radical liberalism, offering dramatically lower tax rates, which, according to analysts, may result in a budget hole of UAH 200 billion as early as in 2016. "The head of the Ministry of Finance shows a clear tendency to solve the problem by increasing the tax burden,” stressed Anatolii Baronin, head of Da Vinci AG analytical group. “This policy has proven its effectiveness in the EU and it’s likely Ms. Jaresko adheres to conservative measures, approved in Europe. But I have serious doubts as to their effectiveness in Ukraine, where the drawdown of GDP in 2015 will be at around 12%, in addition to the 6.8% drop in 2014. Ukraine has never been strong with high discipline in tax payments. The scale of the informal sector, economic instability, and loss of territory with the production capacities and reserves of natural resources, as well as the unfavorable situation on the world market lead to the conclusion that the tax plan of the Ministry of Finance is likely to only deepen the crisis." Vasyl Yurchyshyn, head of the economic programs at the Razumlov Center, believes that liberalism is good only if there is a clear understanding of how the losses will be compensated for. "Unfortunately, not everything is clear and transparent with this tax reform. Two branches of state power - the Parliamentary Committee and the Finance Ministry, both headed by representatives of the same political forces, can’t agree among themselves. But we must agree as soon as possible. And it’s not the IMF who requires this,” said the expert. “Because the IMF has no objections regarding the tax reform and the tax cuts. IMF opposes the overly bloated budget deficit. Without reliable sources of financing, large deficit can have very dire consequences." Yurchyshyn is positive that the budget needs reliable sources to cover the deficit. "Don’t be saying that we will reduce the tax burden, and everybody will rush to pay taxes. Such discussions are meaningless and raise eyebrows," he stressed. However, the experts agreed that the discrepancies in reforming the tax system is no risk to Ukraine. The real risk would be no reform. "In fact, the IMF does not care about the content of the tax reform: it cares about a balanced budget," said Anatolii Baronin. "Without an understanding of the tax reform, we will not know what the budget will be like. And the IMF is unlikely to give any money until we show them the budget," says Yurchyshyn. Meanwhile, the country needs this money before the end of 2015. The value the disbursement will not so much be in its volume, but in the fact that this disbursement actually takes place. "Getting the third tranche before year’s end is very critical for Ukraine,” said Vasyl Yurchyshyn. “It is clear that the disbursement may be delayed forever, and there will be no end of the world. But if the IMF doesn’t finance our reform program, it would be a very bad signal to other investors - especially the World Bank, EBRD, and the EU governments. In fact, Ukraine has no other creditors and investors but them." Senior adviser ar Alfa-Bank Ukraine Roman Speck shares this view. He believes that the termination of cooperation with the IMF, for whatever reasons, will lead to full-scale destabilization of the country’s financial and economic situation, raising tensions in the currency market. "Ukraine now needs to mobilize in order to adopt all of the necessary legislation and take other measures, including adopting a realistic budget for 2016. We can’t relax while the economic situation only begins to improve, and we are still at the initial stage of reforms,” says Shpek. “Delay equals death.” Therefore, it is important that the coalition, which includes representatives of the pro-presidential party and the parliamentary factions, show sufficient leadership skills, and unite all positive forces in parliament to adopt the required legislation in order to enable the country to continue its cooperation with creditors." Shpek is confident that the chances remain of getting the IMF disbursement in December, but considerable efforts need to be made. "Now no one can say now that we are fulfilling our obligations, and the problems are caused by the sluggishness of others. There accumulated number of delays in different areas is quite impressive. The nature of this wide range of problems is inter-institutional," said Shpek. His position is echoed by Anatolii Huley, doctor of economic sciences and financial expert. According to him, political risks are rising in addition to purely the economic ones. "After the elections, we have a different political map in Ukraine. This creates additional stress, for example, in terms of decentralization," said Huley. He also noted that the Parliament will hear in December a government’s yearly report. This is yet another political risk as it can result in either reformatting of the Cabinet, or a total change of its composition. "It is clear that it will postpone the IMF disbursement. They also need to understand whom to give money to," said Huley. Obviously, the weeks remaining before the end of the year will be indicative. Decisions to be adopted will not only lay the foundation of Ukraine’s financial plan for 2016. They will ensure the country’s further development and let us take the chance given to us by the international financial institutions and the G7 governments. And it is very important that these decisions be right.